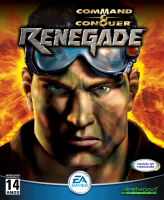 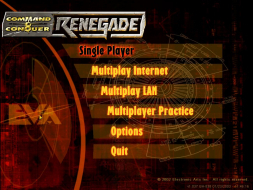 The first (and to date, only) first-person iteration of the Command & Conquer series, Command & Conquer: Renegade puts you on the ground as GDI Commando Nick "Havok" Parker in a series of missions to stop the Brotherhood of Nod from developing an army of Tiberium-mutated super-soldiers. 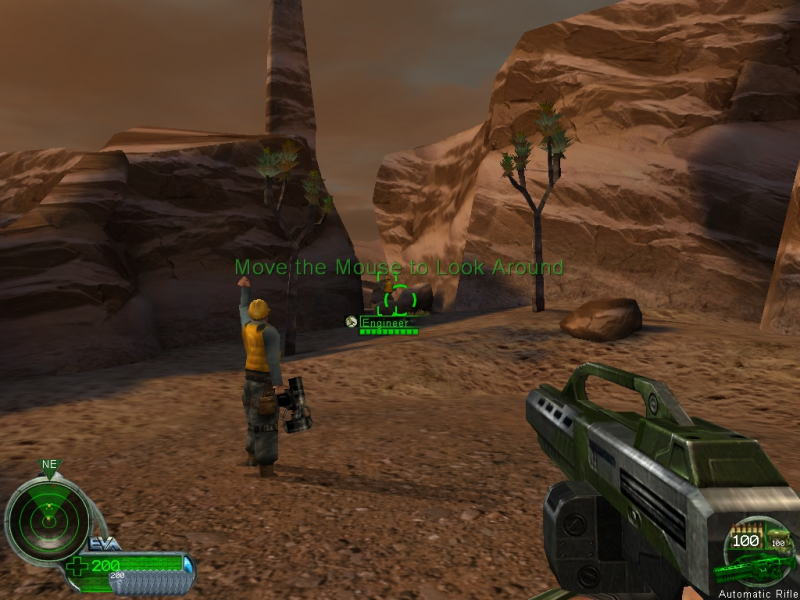 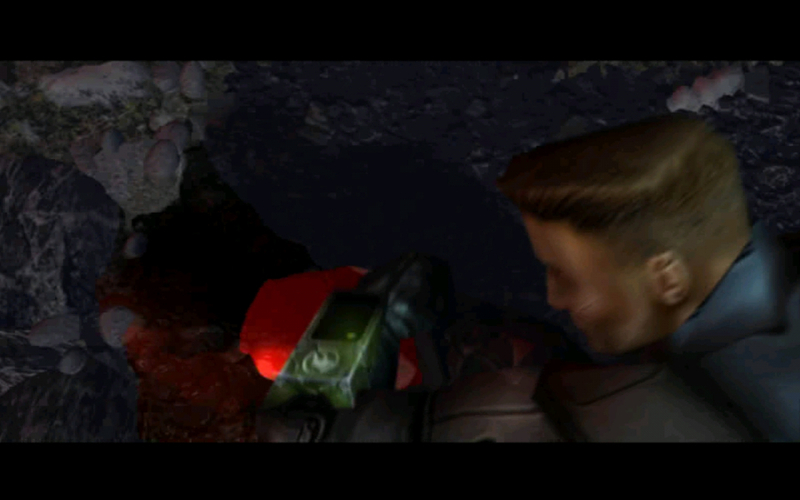 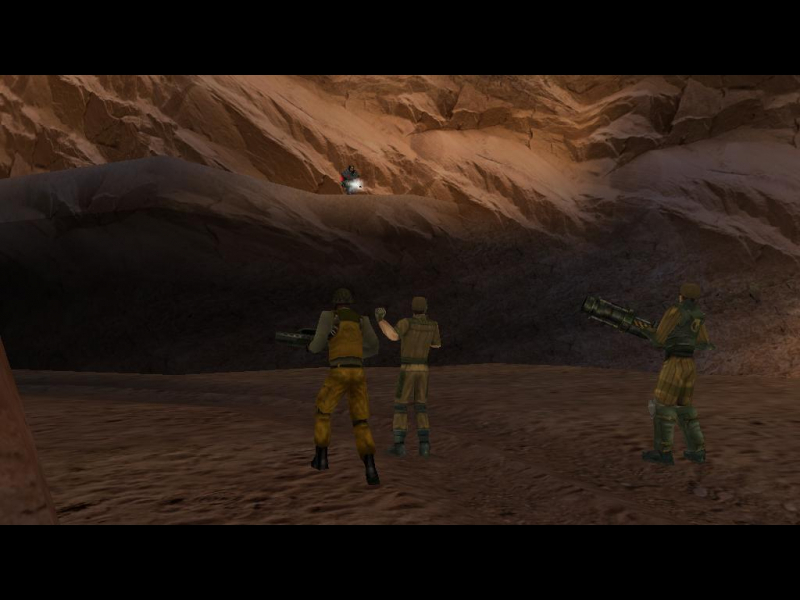 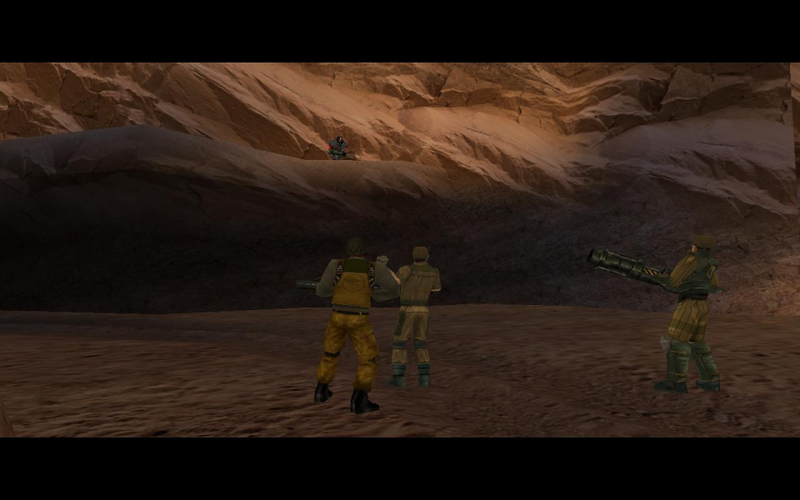 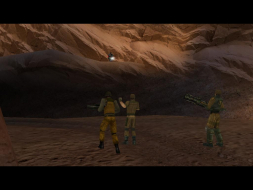 It features a reasonably lengthy campaign spanning a variety of locales, some fairly impressive graphics in an age of Quake 3-based shooters (the same "W3D" engine was modified to become, of all things, the SAGE engine that powers Generals and Tiberium Wars), and a multiplayer mode that in addition to being, in my opinion, one of the greatest in a shooter to date, introduced the world of PC gamers to freely-controlled vehicles in multiplayer (including flying ones). 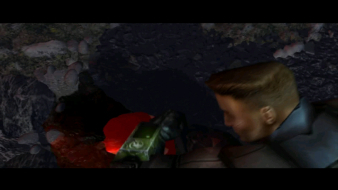 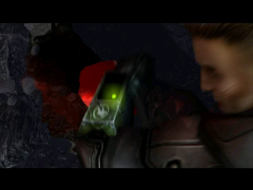 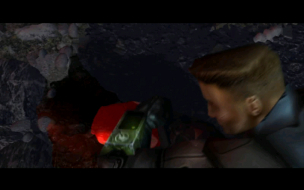 It also features an early look at EA's now long-standing tradition of terrible widescreen support. 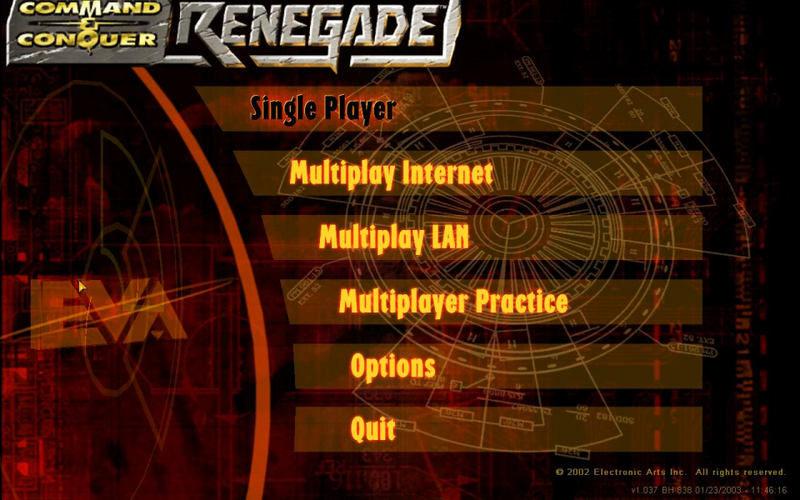 The loading screens and menu screens are, oddly, severely Vert-. While all options and critical text remains visible, this results in the loading bar getting cut off. 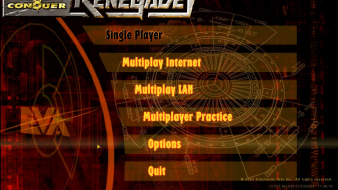 Not that it much matters since even the largest levels load nearly instantly on a modern computer.